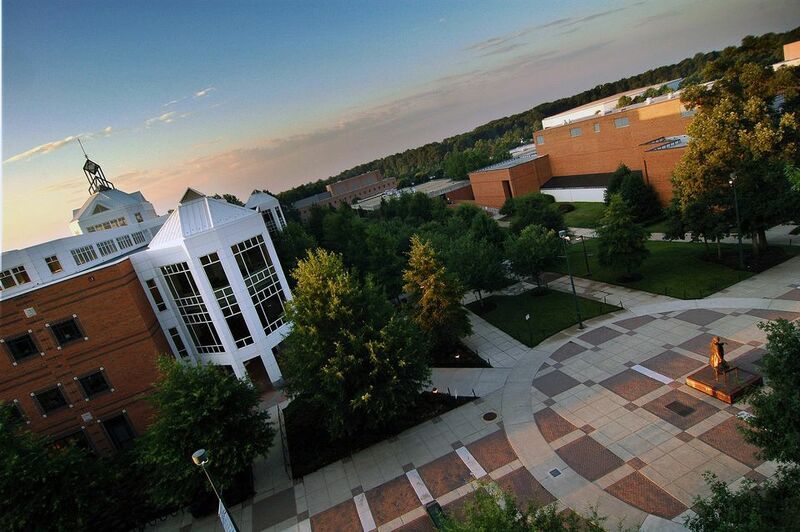 Northern Virginia has a wide variety of colleges and higher education facilities. With its close proximity to the nation's capital, the state has many high ranking schools and offers great educational opportunities in and out of the classroom. While in school and after graduation, students have an extraordinary selection of job prospects within the region. The following guide includes information about Virginia colleges within an hour's drive to Washington, DC. While the main campus is in Washington DC, GW has a graduate school located in the technology corridor of Northern Virginia located at 20101 Academic Way in Ashburn. Graduate classes focus on education and business leadership, information technology and telecommunications, engineering, and transportation safety, and health sciences. The 120-acre campus is home to more than 20 degree and certificate programs and 17 research labs, centers, and institutes. This is a Catholic graduate school of psychology. Founded in 1999, the program focuses on the scientific study of psychology with a Catholic understanding of the person, marriage, and the family. Master of Science and Doctoral degrees are offered in Clinical Psychology and accredited by the Southern Association of Colleges and Schools Commission on Colleges. The Catholic liberal arts college is located just minutes from downtown Washington, DC. Founded in 1950, Marymount is an independent, coeducational university offering bachelor’s, master’s, and doctoral degrees in a wide range of disciplines. The largest educational institution in the Commonwealth of Virginia, NOVA offers 5,000 classes in more than 100 areas of study. Campuses are located in Alexandria, Annandale, Loudoun, Manassas, Woodbridge, Arlington, and Reston. Continuing Education/Workforce Development programs provide training in areas such as Architecture & Environmental Design, Computer & Information Systems, Law, and public service related technologies. Graduates of the two-year programs transfer to four-year colleges and are guaranteed admission to many of the more prestigious schools in Virginia. Approx. Enrollment: 4100 undergraduate, 600 graduate. Located an hour south of Washington, DC, the college is known for outstanding undergraduate liberal arts programs and graduate programs in education, business, and technology. Which Radio Stations Broadcast in Washington, DC?